1) Ask Julien’s for a certificate of authenticity, this should include the date and location Michael was said to have signed the item. As well as a little history about the item. 2) Take your purchased items to a reputable authenticator that is familiar with Michael Jackson’s signature. It is advised that you do this anyway, even if you have received a certificate of authenticity from Julien’s Auction House. 3) Ask your bank to put a hold on your payment for a certain number of days to allow you the time to verify the legitimacy of your purchase. Or you can have your credit card payment reversed. If you paid by check/electronic draft then ask your bank to place a stop payment. 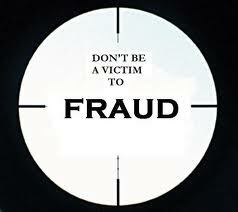 This can be done while you have your purchase verified on grounds of suspicion of fraud and knowledge of fraud. 4) Visit TeamMichaelJackson.Com for evidence regarding Michael Bush/Julien’s Auction House, selling of Michael Jackson forgeries. 6) Contact your local state authorities. 7) Get a good attorney discuss a possible class action suit, you are not in this alone and there will be many more winning bidders coming forward in the weeks and months to come once they discover that they too have been deceived sold forgeries by Michael Bush and Julien’s Auction House. Darren Julien has received 35% commission from the Michael Bush auction of Michael Jackson’s Iconic stage and short film costumes along with J5 memorabilia. These items consisted of famed jackets, jewelry belts, shoes Fedoras and Michael’s famed sequined gloves. The December 2nd auction at Julien’s was the tenth (10) of its kind. We have tried to contact Mr. Julien via Facebook and Twitter to alert him of the fakes that Michael Bush was passing off as authentic Michael Jackson signed memorabilia and clothing. Weeks and before the auction took place, we here at TeamMichaelJackson.Com along with many of Michael supports fans and advocates attempted to present evidence of our claims via Facebook and Twitter, we were blocked on Facebook and on twitter. We received no response to our phone calls faxes mailings and emails to Darren Julien and Julien’s Auction House. At which time we had no other choice but to accept that Darren Julien knowingly went into consignment with Michael Bush to defraud the public with known Michael Jackson forgeries. We are deeply saddened by the events that transpired on December 2nd 2012 at Julien’s in LA. Our Team’s founder was on hand at the location to warn unsuspecting fans of the crimes that were taking place in the auction house. While we could not prevent the items from being sold, we will continue to spread the word about this federal crime that has taken has place and ask that you winning bidders not be afraid and come forward. Part of the reasons why you were at this auction was to express your Love for Michael. Continue doing so by helping to bring these counterfeiters to justice and preventing other fans advocates and supporters of Michael from becoming victims of this crime. Do not let Michael Bush and Darren Julien victimize you. “When good or services appear to originate from a legitimate source but are in fact unauthorized reproductions, the crime of counterfeiting has likely been committed. The offense can include not only creating fraudulent documents and goods, but also altering legitimate items. Our research and finding are posted on this site please click “Juliens Auctions” tab at the top of this page. The statement below has been taken from AML, they are no way affiliated with our posting here, we are just passing that statement along for your convenience. “If you are a winning bidder of anything in Julien’s Tompkins & Bush sale, autographed or not, I recommend that you consider not paying for the items you won or for shipping until things are sorted out. Since virtually all of the signed items in the auction are widely considered forgeries, that casts doubt on the unsigned items in the sale as well, and may taint them permanently, whether they’re proven to be genuine and correctly represented or not. Even the genuine items in this sale may end of having a provenance that is considered less desirable, and that may affect their value. Please feel free to email me at editor@autographmagazine.com if I can help you in any way. And don’t lose your love of collecting! You can learn how to collect safely here on Autograph Magazine Live. It’s not hard! No lawsuits: Binding arbitration is the sole legal remedy for any claims or controversy, through JAMS (Judicial Arbitration and Mediation Service) in Los Angeles. That mean no class action lawsuits or any other lawsuit may be filed in the courts. But I like this. JAMS is a good service, much faster and less costly than going through a lawsuit, and the winning party is awarded their legal fees and costs. The US isn’t like the UK, legal fees and costs are hard to win. I don’t think you’re limited to arbitration for suing the consignor, but if you get full reimbursement from Julien’s, you probably don’t have a claim against them. 10 days to pay: You have 10 days to pay for your purchase and shipping and they have the right to bill your charge card on file. You’ve got 60 days to have your purchases shipped out or picked up, and after that you could be at considerable risk on several levels. They can even keep what you paid as liquidated damages, say if you paid for the item and not for shipping. So please, read those Terms and Conditions carefully and get advice. 5 year guarantee of authenticity: I mentioned the Guarantee of Authenticity last night, so scroll back and read my comments there, too. There’s lots more, but this gives you an idea about how careful you have to be. But again…the good thing is that Julien’s has a guarantee of authenticity and binding arbitration, so resolution could be much easier than I thought. This entry was posted in Blog, To MJ Respect is due. Bookmark the permalink.